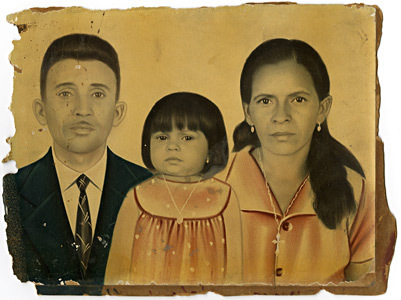 Yossi Milo Gallery is pleased to announce Retratos Pintados , an exhibition of hand-painted vernacular photographs from Brazil. 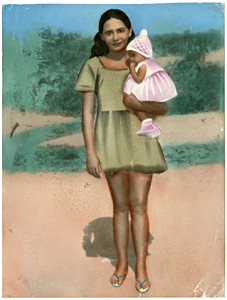 The exhibition will open on June 24 and close on September 18. 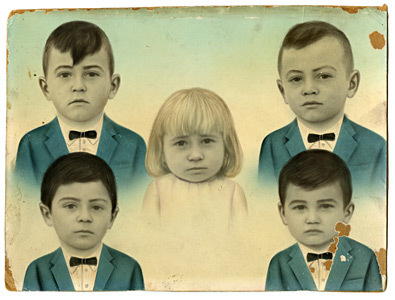 This will be the premiere presentation of these one-of-a-kind photographs. 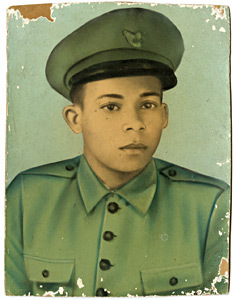 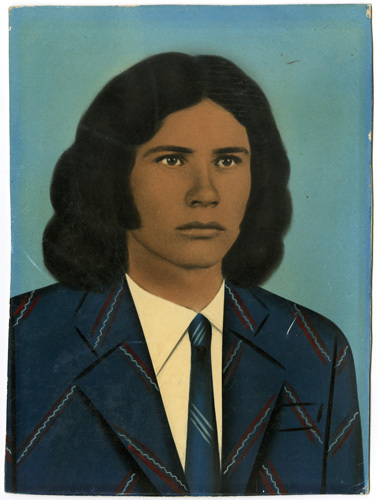 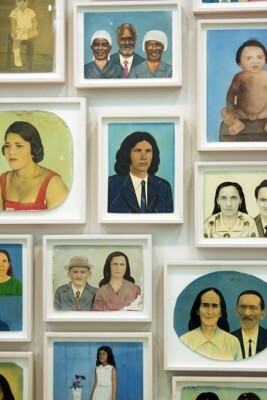 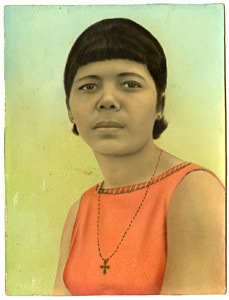 Since the late 19th century through the 1990s, hand-painted photographic portraits were a common feature in homes in the rural areas of the northeastern Brazilian states. 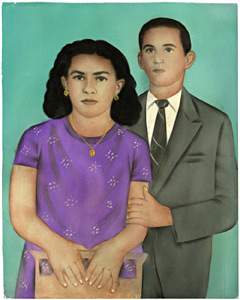 At a time when black-and-white photographs were not considered dramatic enough, the retratos pintados (“painted portraits”) glamorized and idealized their subjects. 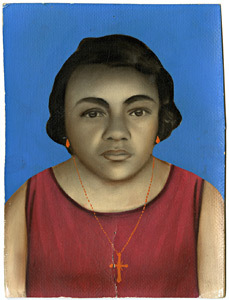 Black-and-white family photos were enlarged and painted, conferring status on members of the family and portraying them as icons or saints. 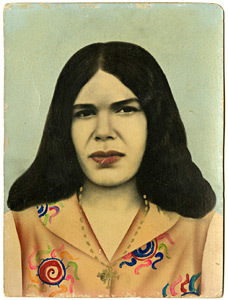 Using oil washes and other techniques specific to the region, local artisans embellished clothing with pattern and color, smoothed wrinkles, added jewelry or resurrected deceased relatives, illustrating the fantasies and desires of their customers. 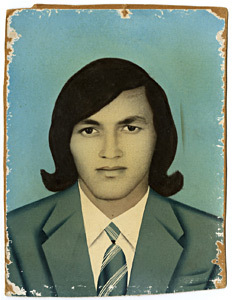 Due to advances in technology over the past 25 years, hand-painted photographs have become a rarity in the region, and the tradition of analogue portrait-making is being lost. 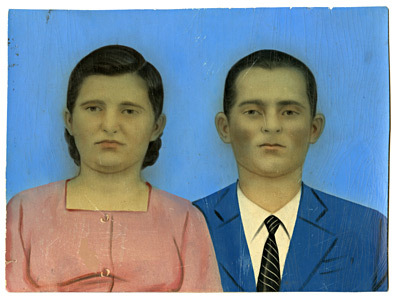 Most portraits are now computer-generated, eliminating the charm and distinctiveness of each artist’s individual style. 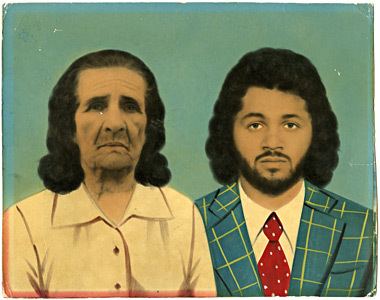 The exhibition will include approximately 150 unique, vintage painted portraits ranging in size from 8″ × 10″ to 16″ × 20″. 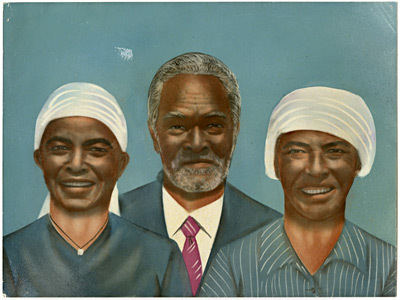 The photographs were selected from those collected by Titus Riedl, a European who has lived in the region for 15 years. 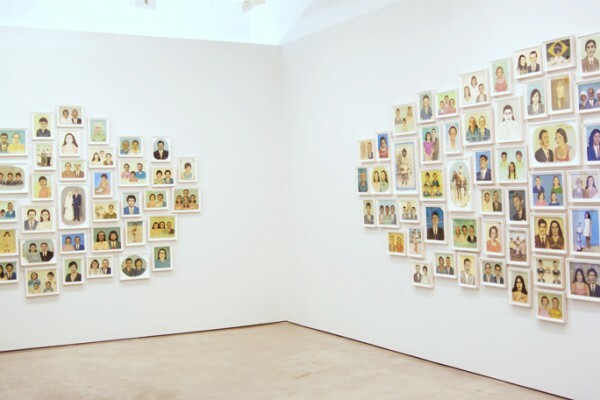 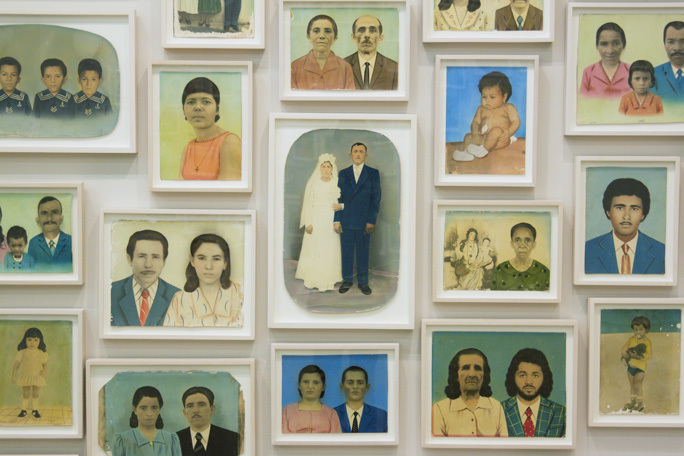 Fit into simple frames and hung together in clusters, the exhibition reflects the way family photos might be displayed in the home. 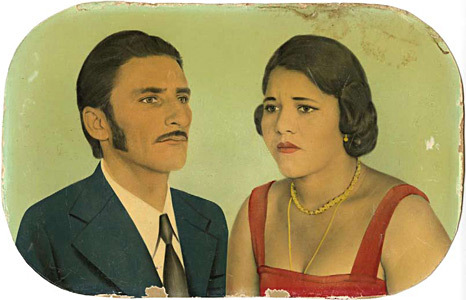 Retratos Pintados , a book of 61 four-color plates of photographs from the collection of Titus Riedl with an introduction by Martin Parr and edited by Parr and Riedl, was published by Nazraeli Press in 2010 and is available at the gallery. 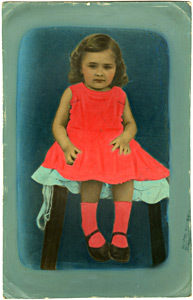 The publication is the only documentation of a fading art form unique to the tradition of vernacular photography. Gallery hours are Tuesday – Saturday from 10am – 6pm (through July 2). From July 6 – September 3, summer hours are Monday – Friday from 10am – 6pm.